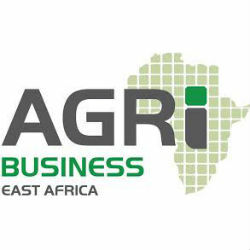 Agribusiness Congress East Africa is taking place at in Dar es Salaam, Tanzania, from the 28 – 29 January 2014. The event will bring together key public & private stakeholders, from across the East African agricultural sector, to encourage collaboration and drive innovation to develop East African agriculture to position the region to take advantage of the opportunities presented by the growth of this sector. Some 300 agriculture experts are expected which will represent the entire agribusiness spectrum: from input suppliers, agro-processors, traders, exporters, retailers, commercial farmers, processors, policy makers to government and associations. Tanzanian President Jakaya Kikwete will deliver the opening keynote address and share the Tanzanian government’s vision for the future of its agricultural sector. Agriculture in the East African region is worth over $176billion and in Tanzania alone the sector will see investments exceed $4billion over the next 20 years. The two-day interactive forum organised by Spintelligent will bring regional and international stakeholders together to examine critical issues surrounding regional trade, harmonisation of standards, import & export legislation, the role of the private sector, and infrastructure development.